Happy Martin Luther King Jr. Day! If I could only eat one dessert for the rest of my life, it would be a tossup between ice cream, brownies, or dark chocolate. I really don’t know how I could choose between them. I adore any kind of brownie: plain, peanut butter swirl, raspberry, or caramel, among others. That being said, I’m not crazy about blondies. If I didn’t compare them to their far superior sibling, the brownie, I would like them much more. 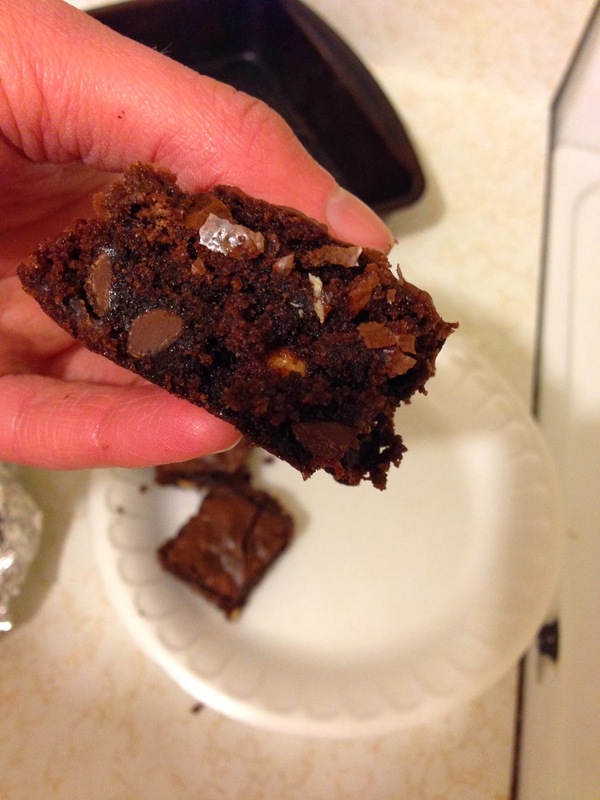 They are just not up to par with the thick, sweet, and chewy chocolate brownies. Did I use enough adjectives? I used a box mix for the brownie, but a scratch brownie batter would be marvelous. The caramel layer recipe came from Smitten Kitchen. 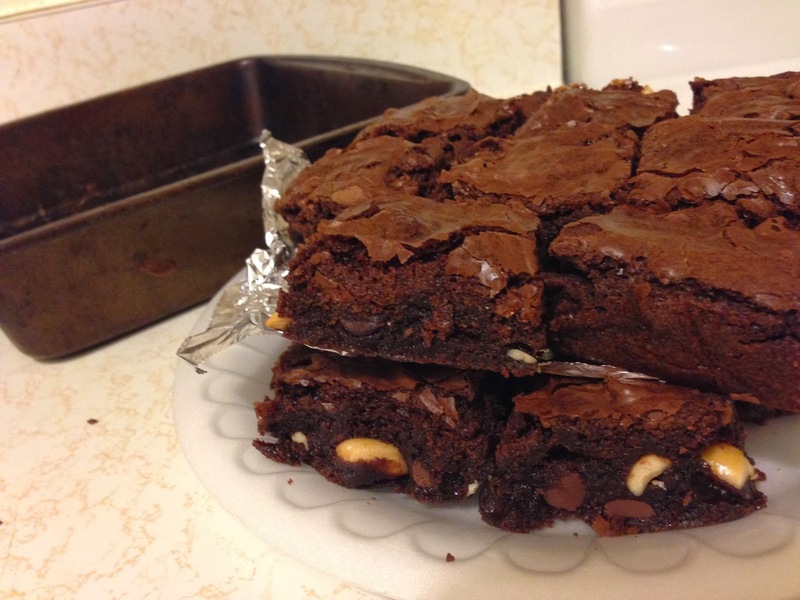 Other then the brownie ingredients called for on the back of the box, I used ½ cup sugar, 4 tablespoons butter, 1/8 teaspoon salt, 3 tablespoons heavy cream, and ¼ cup chopped peanuts. For the caramel, I melted the sugar in a saucepan. No liquids were added. I melted it over medium high heat. I used a spoon once or twice to break up large iceberg like chunks of sugar. I don’t understand the techniques for making caramel. The last caramel recipe I made commanded me not to stir at all! The exclamation point at the end of that sentence is required. It warned that stirring increased the likelihood of crystals forming in the sauce. Who knows? By the time it was melted, it was a dark brown, like a copper pot. I took the molten sugar off the heat and added the butter. It looked like a big mess at this point. There was an island of brown sugar goo surrounded by a puddle of melted butter. I was afraid, very afraid. I then added the cream and salt. Yikes! It was still a big mess! I cooked the sauce until everything was smooth, creamy, and unified. I made a mistake at this point. I poured the caramel over lightly greased parchment paper. I should have smothered the paper with butter because this caramel was super sticky. I cooled this in the freezer for a bit. The recipe suggests leaving the caramel in the freezer for 40 minutes, which I did not do. This could be another reason the caramel was fixed tightly to the paper. While the caramel cooled, I made the brownies. 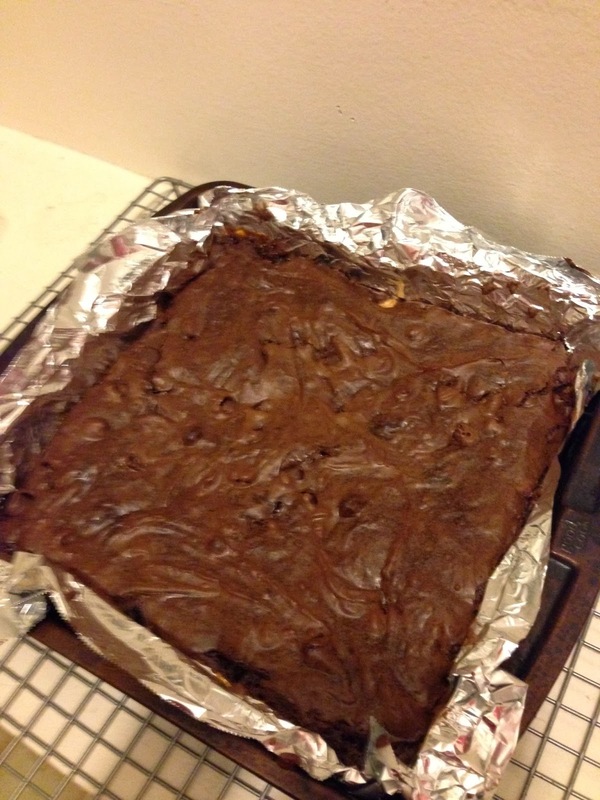 I poured half the batter into a 9 by 9 inch brownie pan. I sprinkled the peanuts on top. I used salted peanuts. I layered the caramel on top of the peanuts. I carefully poured/ scooped the remaining batter into the pan. I baked this according to the packaged directions. This wasn’t what I was expecting. Don’t get me wrong, they were tremendous. It’s hard to mess up a brownie, right? That’s not the most convincing sentence I have ever written. The brownies were luscious, just not as planned. 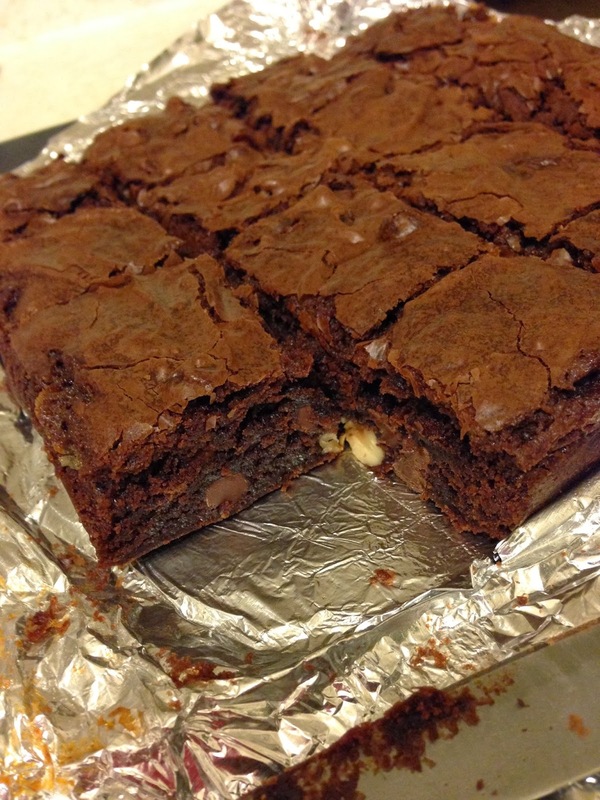 The Smitten Kitchen photos show overflowing pools of caramel oozing out of the brownies. My caramel layer melted into the brownie making a caramel flavored brownie, and I’m not sure why either. It was fabulous, but not nearly as photogenic. I am going to have to do a little more research and try again. 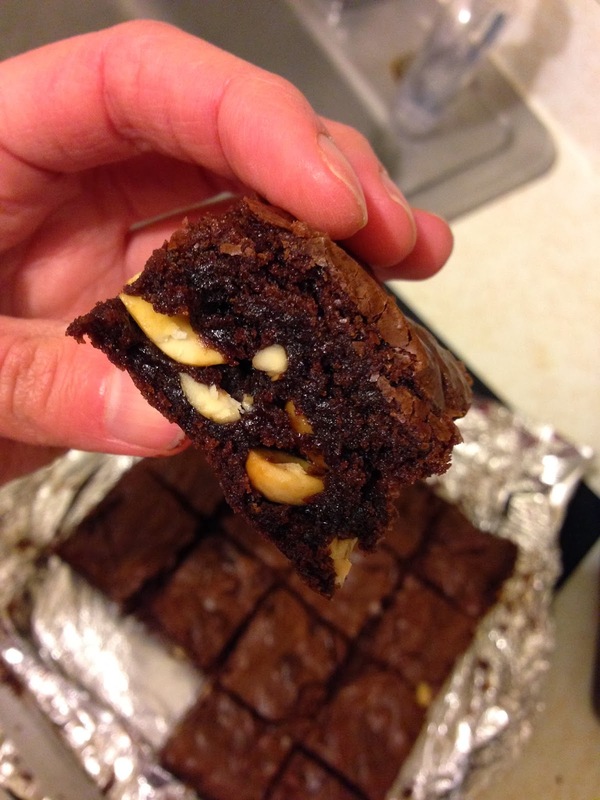 I want to eat a few of these yummy brownies! I absolutely feel the same way about blondies...why bother when I can have a delicious chocolatey brownie?!!? These sound delicious! I would love these brownies today! They look incredible and so rich.